Produced by David Barratt at The Abattoir Of Good Taste Moblie in Los Angeles. Paul McCartney wrote “When I’m 64” when he was 16, recorded it in 1967 when he was 25 on a concept album that was based on a fictitious musical act that was performing sometime around 1910. 1910 was the year that Dr Harry Steinberg was born so it seemed only natural for us to invite him to sing the song. “When I’m 64” is from the concept album Sgt. Pepper. I never really understood the concept fully but I think it was something about a guy named Billy Shears who fancies a girl called Lucy. They repair a house together but their daughter runs away from home. To distract himself Billy goes to the circus and ends up finding spiritual peace in India. This however makes him feel insecure about growing old so he has an affair with a traffic cop. Eventually he wakes up, smokes some weed, crashes his car and dies…. The End. 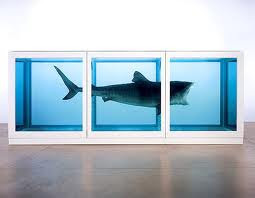 “When I Am 64” reminds me of the Daimien Hirst piece “The Physical Impossibility of Death in the Mind of Someone Living’’. To be 64 in 1967 seemed very old indeed, and not surprisingly so. Someone born in 1902 would have had their teenage years interrupted by the most horrific of wars in 1914. Just as they were recovering from that, the Great Depression hit and continued until World War 2 which carried on until they had reached middle age. By the time that the 60’s were beginning to swing they were exhausted and grumpy. When Sgt. Pepper came out the world looked like it belonged to the young. Paul was full of the arrogance of youth and anyone over thirty were considered past their sell-by date. Life expectancy in the UK at time of the the release of Sgt. Pepper was around 67 years. In 2010 it is 78.
in 1967 low cholesterol diets, cosmetic surgery, HGH, Viagra and Provigil were unheard of. Could the 25 year old version of Paul imagine a 68 year old man having just completed a sell out stadium tour where he played to almost 800,000 paying customers. I think not. But that is what Paul just did, playing the final show of the “Up And Coming Tour” on August 19th. “When I Am 64” is a piece of vaudeville placed in the middle of psychedelia. Paul’s father passed on his love of Music Hall and Paul returned to this style of writing again and again. This was his first attempt at the genre. The vaudevillian atmosphere was enhanced by Robert Burns, Henry MacKenzie, and Frank Reidy who’s clarinets gave the song it’s antiquated sound. The song was originally performed in the key of C but Paul wanted his voice to sound younger so the tape was sped up half a step to D-flat. You can hear the tape speed effect clearly on Paul’s voice on bridge. “Within You Without You” which precedes “64” is in C#. The effect of the songs effectively being in the same key makes a tricky transition between opposing styles much smoother. There is a different melody on the two bridges which gives a space for some excellent backing vocal parts. I find the peculiar chamber reverb on the lead vocal distracting, especially on the stereo mix, it would have been better left dry. Ringo being Ringo plays an understated part. He leaves all the right spaces. So many drummers over-play but he uses silence in the same way others use fills. He does an excellent job especially on the second half of the bridge where he plays a busy but perfect rhythm on the ride cymbal. Paul’s bass which perfectly mimics a tuba, was the final overdub as usual. "Paul wrote it in the Cavern days. We just stuck a few more words on it like ‘grandchildren on your knee’ and ‘Vera, Chuck and Dave’ … I would never even dream of writing a song like that." Of course not John, you would never do a pastiche number with a catchy tune that refers to turn of the 20th century. Oh… with the possible exception of “Benefit Of Mr Kite” maybe? An interesting aside, due to the Six Day War between Egypt and Israel The Suez Canal was closed which meant that the specially printed covers of The Sgt. Pepper album due to arrive in Australia were delayed. This provided an Australian band (The Twilights) with an opportunity to perform the entire album night after night to sold out audiences. 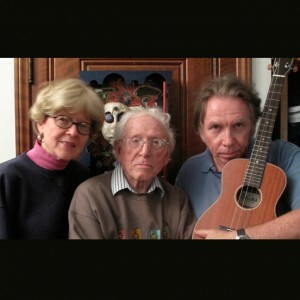 The ukulele version of the now re-titled “When I Was 64” is sung by Dr. Harry Steinberg. Harry turned 64 was a long time ago and he is wondering why his lover does not treat him with the same care and attention that he received back then. The song was recorded a couple of days after his 100th birthday party in Los Angeles which I was honored to attend. I’ve know Harry almost 30 years and in that time I have come to know him and his family as true friends. The baritone ukulele part is played by his son Pete who also wrote a beautiful biography of his father which can be found HERE. The song ends with Claire, letting him know he is, was and always will be loved. In 1910 the year of Harry Steinberg’s birth many Jews had left Russia to escape the Pogroms. Harry’s family were part of that exodus. He was raised in a tiny basement apartment in Pittsburgh with his five siblings. His brother Sam would die from a heart condition at fifteen when Harry was only five. Sam was born in Russia as was another child who died in infancy. He attended the University of Michigan, graduated near the top of his class and entered Medical School at the age of twenty two. He had to wait a year because the Jewish “quota” was filled. During his summers he worked as an orderly at the Monte Fiore Hospital in Pittsburgh. There he saw death on a daily basis. Fleming had yet to invent antibiotics and people died from dental infection and pneumonia on a daily basis. While working as an orderly Harry met Isabelle Patricia Mauchline. She was the head nurse at Monte Fiore Hospital – Harry’s boss and soon to be wife. Upon completing his residency he became a Country Circuit rider in Virginia. Here he did everything. Setting broken bones, appendectomies, assisted in births and closed wounds with sterile suture. He also served as a doctor to the local prison chain gangs and witnessed the horror of the conscripted labor system first hand. He loved being a country doctor, loved his patients and felt that he could ultimately be a force for good, but, the political body in the south was corrupt, evil and could be very dangerous. It was no place to raise kids. Pearl Harbor came and he served throughout the duration of the war in the European theater. He received a bronze star on Omaha Beach for getting over 800 men off the beach into the landing craft that still worked in order to get them back to a ship’s hospital and back to England. He was at the Battle of the Bulge and crossed the Rhine into Germany. He stayed in the Army until 1963 and retired a full colonel. Harry became an Ear Nose and Throat doctor schooled in reconstructive surgery. There was plenty of it after the war. His wife contracted viral encephalitis and was very ill for about twelve years and passed away in 1978. Shortly after he remarried. He claims that one of the factors contributing to his old age is his marriage to Claire. Harry Steinberg has spent the remainder of his years living what his life is really about. He has involved himself in his two great passions: medicine and art. He is a good painter and a very fine sculptor and became a prodigious collector of Pre Columbian and African Art. In recent years he has constructed art from found objects. He loves new people and situations. He loves a good party. He is physically and emotionally engaged with life.